Travel intelligently. 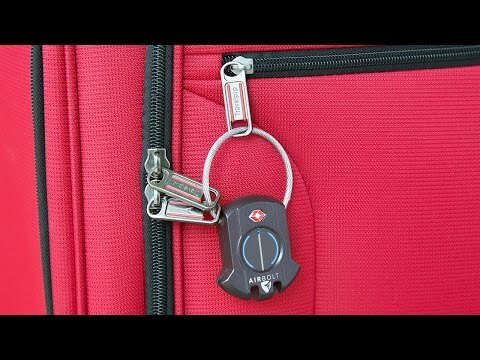 Control this Bluetooth luggage lock straight from your phone and keep tabs on your bag (you’ll get notified if it’s out of Bluetooth range and when it’s back in range again). To make your lock even more personal, program it to unlock using your fingerprint. Dimensions: 2.2" x 2.2" x 0.63"
Scrap the tiny keys and crumpled slips of paper with your lock codes and control this TSA-accepted, Bluetooth luggage lock directly from your phone. 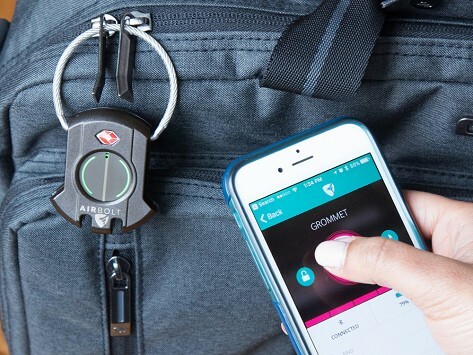 AirBolt syncs up to a free app so you can lock, unlock, and even track your suitcase from your device. Get a notification when your bag is out of Bluetooth range so you'll know if it leaves your side. There’s even an option to crowdsource your lock’s location if it’s out of range. When someone with an AirBolt or a partner app is near your luggage, the lock uses their Bluetooth to bounce the location back to you. Another personalized feature lets you unlock AirBolt directly without your phone. Use the app to create a unique touch sequence that you then tap on the actual lock. It’s a nice alternative to activate in case your phone’s battery dies. Enjoy your travels without fussing with luggage keys or codes, and keep tabs on your luggage right on your phone.